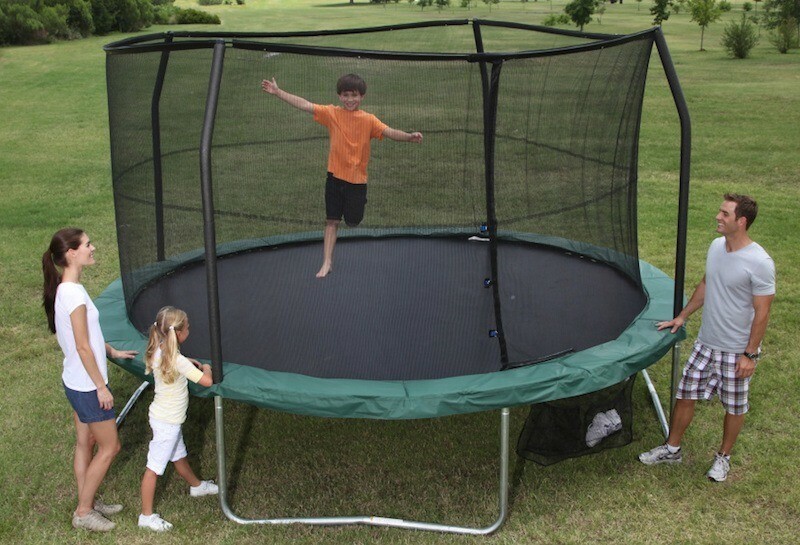 A trampoline is an excellent way to add a lot of fun to the daily activities of your child. Of course, buying one is not as simple as just taking the first one you run into. There are some things you should consider first. 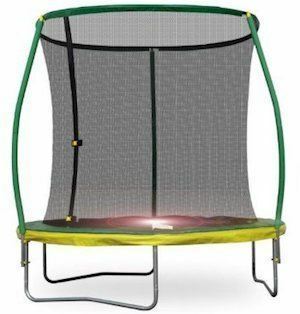 So, you probably heard about the Bounce Pro Jumpking trampoline and went straight to check some Bounce Pro trampoline reviews. Believe it or not, exactly that is what we did before buying our own. And, we absolutely love it. It’s safe, big enough for older kids, sturdy, and not too expensive. And, something that most bounce pro trampoline reviews don’t mention - it looks great. Whether you choose to buy this trampoline or look for another one, the list of things to check remains the same. Unfortunately, a lot of customers only think about how much fun they can have with it. And, it is not a bad system. However, there are a lot more important factors to check. Sure, you can just go and try out every single trampoline you can find, but that isn’t very practical. A big part of that is that not every store will let you try out trampolines. And, even if they do, they will only let you try a few models. So, it makes a lot more sense to read this article and see what you think. If you are new to the world of trampolines, the Bounce Pro is a perfect choice for you. 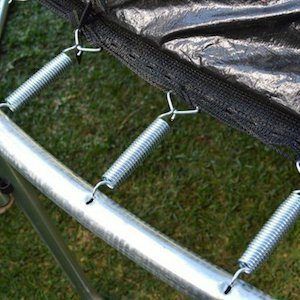 It is a beginner-level trampoline you can set up in a couple of hours. When we saw that this trampoline costs under 300 dollars, we didn’t expect a lot from it, but, we were pleasantly surprised when we got it. This 14-feet, 130-pounds model has everything we want to see in a trampoline and then some. The very first thing you should concern yourself with is how safe your child will be on the trampoline. Sure, having a trampoline is not nearly as dangerous as some other favorite pastimes, but if you don’t take care, it can get risky. You want a trampoline that will not break on you. You also want to have one with a safety enclosure. And Jumpking boasts both of these features. Not only does it sport a rust-resistant frame which will last you for years, but it also comes with a galvanized steel enclosure system that will keep you and your child safe for a long time. And, just in case, Bounce Pro offers an excellent 2-year warranty. An important fact about the enclosure is that it is within the jumping space. That means that it is less likely for your kid to ever come in contact with the spring area. Spring covers come with extra padding to add safety to your kid’s playtime as well. That feature is really important if you fear that your kid will test the enclosure net too much. The actual weight limit is 220 pounds. However, it is still trampoline made for kids. Adults might be too tall for the safety enclosure. Not to mention that, as adults, we can jump a lot higher than kids. And lastly, we would always recommend following a few simple rules to stay safe. First of all, this trampoline is designed for ages 6 and up. So make sure your kid is older than that. Secondly, only have one kid on the trampoline at a time, and lastly, don’t let them horse around. Now, size is not as important as safety. However, choosing the right size is an excellent way to save money in the long run. Namely, if you want a toy for your child that they can use for a couple of months, take a small trampoline. They are cheaper and easier to sell later on. However, if you want your child to keep using it for multiple years, you will want a trampoline that is big enough for a growing kid. 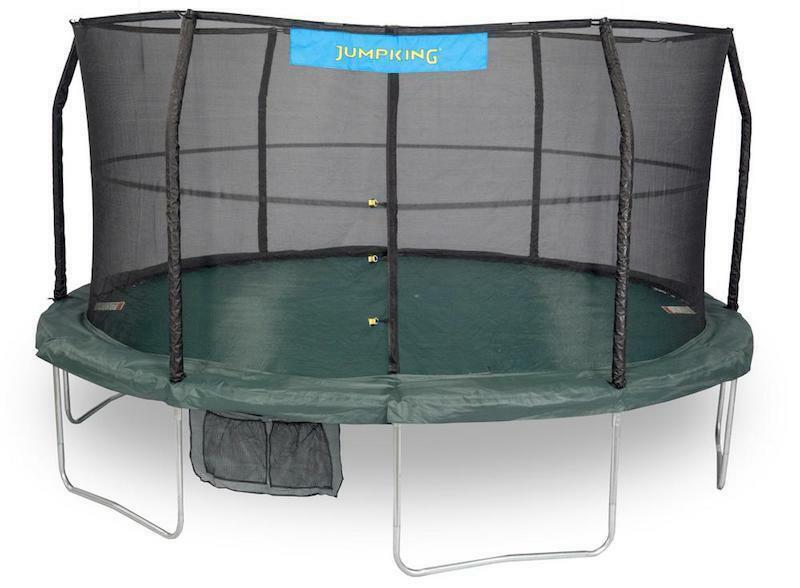 With a diameter of 14 feet, the Bounce Pro Jumpking falls under the latter category of the two. In fact, the pad is a lot larger than what someone would expect for a child’s trampoline. And that is for more than one reason. Namely, a larger pad makes for a safer experience for starters. There is less chance for your kid to “test” the safety enclosure. And the circle in the middle will help you make sure your little one gets the most out of the trampoline. A lot of people don’t pay much attention to the shape of the trampoline. However, a lot of things depend on it. Namely, octagonal and round trampolines will give you an excellent bounce. However, oval ones don’t pack the same punch. And lastly, squares give a decent bounce, but they tend to sink after a lot of use. 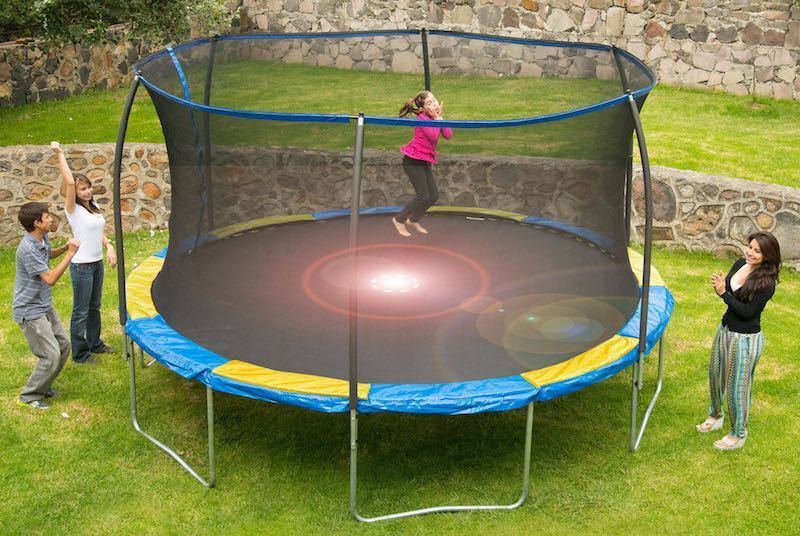 Bounce Pro Jumpking is a round trampoline that gives an incredibly smooth bounce. It also allows for very decent jumping, but the material doesn’t let the kids jump too high up. Another benefit round trampolines give you is an additional layer of safety. Unlike oval ones, if your kid is in the middle, it is always at least 6 feet away from the edge. Of course, the enclosure is there to keep them safe in case of a fall, but, it is always better to avoid that occurrence altogether. In the end, it is up to you. Bounce Pro Trampoline Reviews are there to help you out if you need them, of course. And we definitely hope you found our review to be useful. In our humble opinion, this trampoline is an excellent purchase. It costs less than $300, and it is sturdy, safe, and good looking. We would definitely recommend this trampoline to anyone as it deserves the 5-star rating we are giving it.